When Jude and Ella are reunited, they'll battle the lies Ella has been forced to tell... and struggle to save a love that knows no bounds. This is the second book in the series and I would say that you for sure need to read book one in order to understand what is going on in this story. All of the characters are repeat and the dynamics between them all is complex. Understanding where everyone comes from and how they meld together is vital in understanding how this story continues forward. Jude has lost everything that he cares about. Ella was the love of his life and despite knowing that they worked dangerous jobs, Jude can't help but feel the loss. While continuing to hunt for the one who betrayed his team, he finds that Ella is not where she appeared to be – who she appeared to be. Questions crop up and Jude will stop at nothing in order to obtain the answers he needs and feels he deserves. Ella is living a life of lies. She has been through the ringer and lived to tell about it. However, she is doing everything in her power to protect those she holds dear. But when more players are introduced to the board and Jude's continued pursuit lands her in hot water, she'll have to decide whether or not she can trust her old team again to get her through it all. This is fast paced and there is a lot going on. I am so looking forward to the next installment and can't wait to see what twists and turns crop up next. 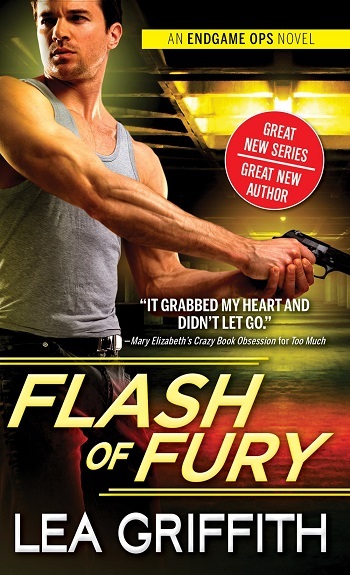 For reviews & more info, check out our Flash of Fury post. 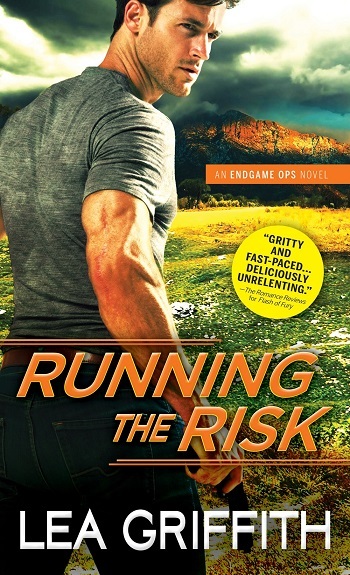 Reviewers on the Wicked Reads Review Team were provided a free copy of Running the Risk (Endgame Ops #2) by Lea Griffith to read and review.